Perfect to feed your pet. 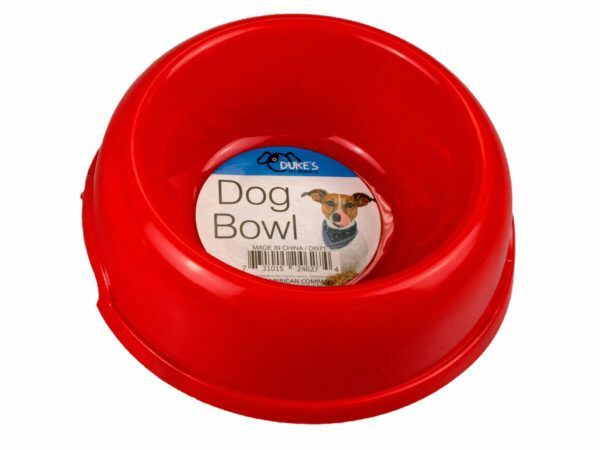 This plastic pet bowl comes in two classic colors: red and white. It will fit into your home perfectly. It also features four small rubber grip, to prevent the bowl from sliding. The container is approximately 6 in diameter and fits 8 oz of water when filled to the top. The bowl comes packaged loose with a label.